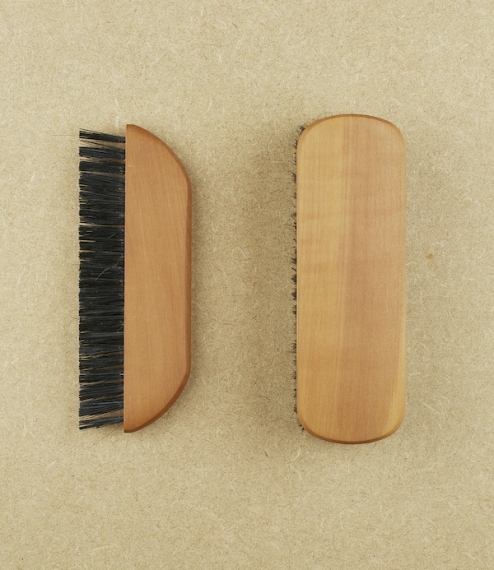 Clothes brushes of waxed pear-wood and strong black natural hog bristle in a standard or pocket format. 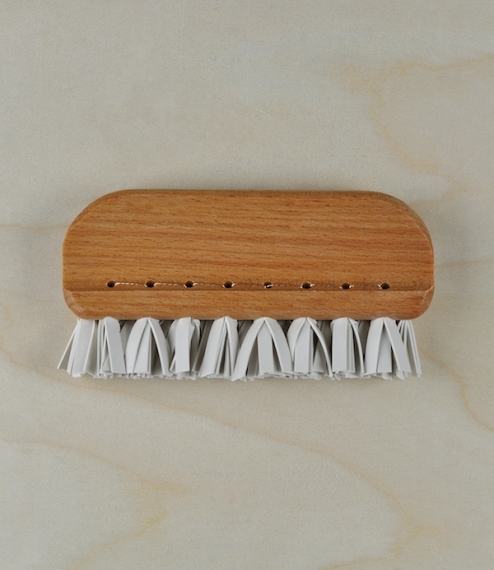 The pocket brush has two rows of bristle being a narrow brush intended to fit unobtrusively into a pocket or handbag. 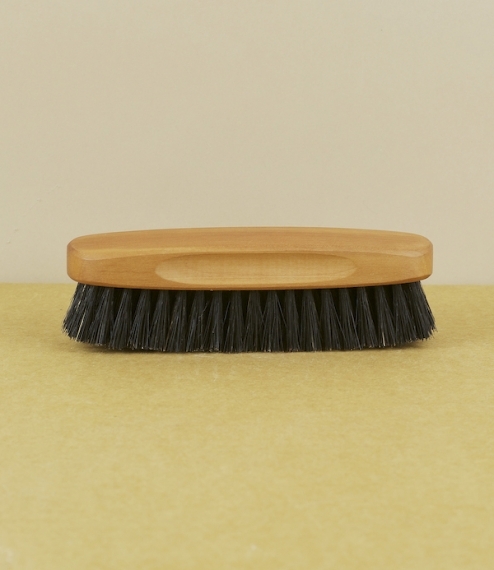 The standard is mounted with seven rows of bristle and makes an ideal dressing table or cloak room brush. 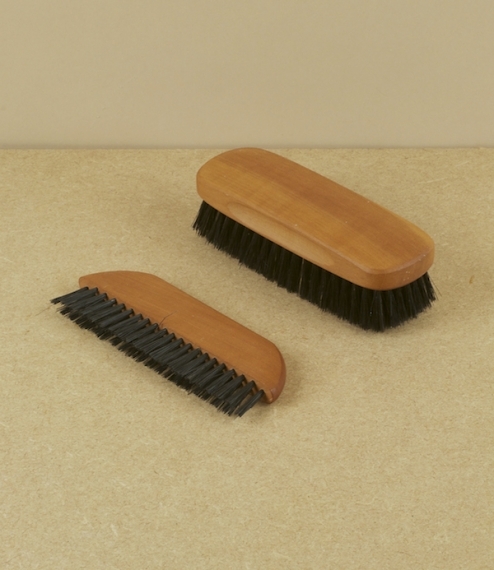 Both are from a small family owned and run brush making workshop in Versmold, North Rhine-Westphalia. 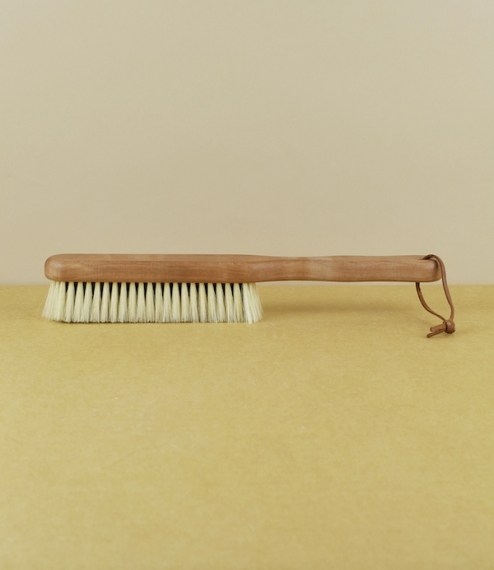 The pocket measures approximately 13cm x 1cm, the standard 13.5cm x 4.5cm.